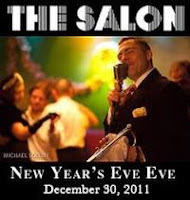 The only place to be this Friday is The Salon's annual New Year's Eve Eve party. This year's venue is the newly reopened COPACABANA, one of the most famed and historic clubs in New York City. Since 1940 everyone has performed at the Copa, from Sinatra and the Rat Pack, to Ella, Liza, Edith Piaff, The Supremes, and the list goes on, and on. Now in the heart of Times Square, the new Copa boasts one of the largest dance floors in town, with beautiful new Brazilian-wood floors, numerous bars, and state of the art sound systems. As a celebration of the Copa's musical heritage, The Salon is proud to present some of the hottest talent in town representing the many eras of the Copa's illustrious history. Please join the crew for the final event of THE SALON's 10th Anniversary year! The hottest of the hot jazz bands in town! Album Release party for her debut full-length CD "Tell No One"
Keeps you dancing all night long! The Salon's signature commitment is equal billing for quality performances, dancing, AND cocktail culture. 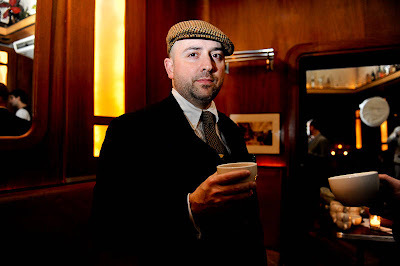 In that spirit of bon vivant, Loungerati is honored to be included in The Salon's 2010 NYEE party as their in house cocktailian. On that libation front, we have a special Holiday in Havana circa 1959 themed menu co-sponsored by Dutch's Colonial Cocktail Bitters. This is the lounge and swing scene's biggest night out, so get dressed up, come see old friends, and meet new ones. Skip the line at the door, and gain exclusive access to VIP-Only areas, with cocktail tables, seating and more. Limited availability. Happy Holidays! Merry Christmas! Buon Natale! Feliz Navidad! Method: Combine ingredients in mixing tins (except milk), dry shake for 5-10 seconds to emulsify the egg. Strain into a T&J cup or Irish coffee mug, add hot milk, and garnish with ground nutmeg. Read more about the Tom and Jerry cocktail and Fredo's recipe on Umamimart blog. All the best to your family and friends! In ten years, Repeal Day partying will stand shoulder to shoulder with Cinco de Mayo and other alcohol related holidays. Luckily, it is still in its infancy but growing stronger every year thanks to ongoing cocktail renaissance. So enjoy these rather intimate gatherings now before the amateurs take over! Lastly, I want to make a toast to the an unlikely hero in this tale of repeal - The State of Utah! Utah was the final state that ratified the 21st Amendment repealing the 18th Amendment to the US Constitution on December 5, 1933. Cheers to Utah! We recommend the following 4 destinations for proper celebrating! Zacapa Rum teams up LUPEC's New York chapter, and the 1534 fellas to support Bottomless Closet, an organization that helps disadvantaged NYC women with professional development, financial management and personal enrichment. No secret passwords to get in, instead bring an item to donate to the Accessories Drive. In return, guests will be treated to pre-prohibition style drinks courtesy of Zapaca, food and music! Finest prohibition dress highly recommended. Hot 1920s jazz from Michael Aranella and his Dreamland Orchestra fills Brooklyn cocktail den Clover Club for this special party. Drink specials all night long sponsored by Plymouth gin. Naughty surprises from burlesque mavens Darlinda Just Darlinda and Peekaboo Pointe! Don't miss the easiest holiday of the year. No presents to buy, no pies to bake and no costumes to rent. Just legal good times! Francine (aka singer/burlesque performer Franny Fluffer) returns to Louis 649 to celebrate Repeal Day - the 78th anniversary of Prohibition's Repeal. Expect a decadent evening of classic jazz, burlesque and mixology at intimate East Village cocktail stalwart Louis 649. In addition to the tantalizing teasing by Francine, patrons will be treated to performances from Medianoche and Sapphire Jones.There is no cover charge for this special event, however an RSVP - rsvp@louis649.com. This legendary party is invitation only so if you have the luck to be an attendee, put on your sharpest suits or flapper dress and get ready to call in sick tomorrow to work. Employees Only has been celebrating since being named World's Best Cocktail Bar at Tales of the Cocktail. So expect this shindig to be over the top. Typically, the party include complimentary cocktails from the biggest booze sponsors. Last year guests were treated to Plymouth Gin drinks concocted by the stellar team behind the bar. Punches in monster tea cups, Southsides made to order, hot jazz, burlesque on the bar, tasty treats from the EO kitchen, and whose who of bar industry stopping by. PS: Loungerati will be turning 5 years old. 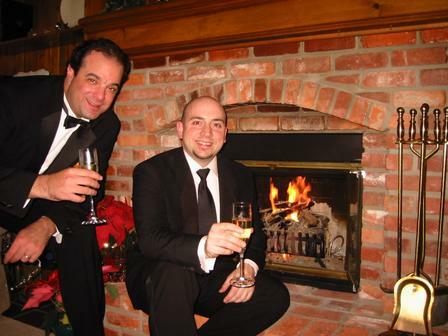 The group and blog were formed at a Repeal Day celebration in 2006. We will let the Repeal Day have its day and be celebrating Thursday December 8th at the Rum House in midtown!